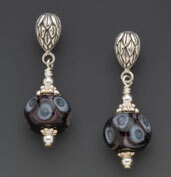 This dazzling creation of Black Lace is sure to make an impact. 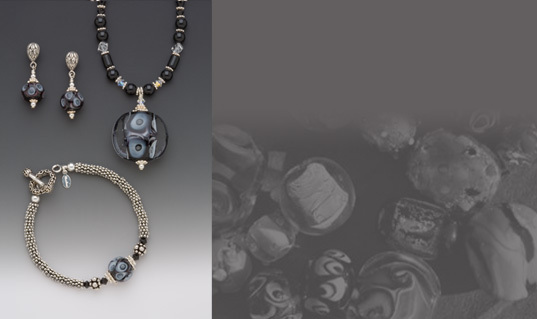 Multiple layers of jet black Murano glass are accented with white glass and finished by capturing small air bubbles in a casing of crystal clear glass. 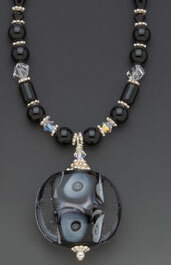 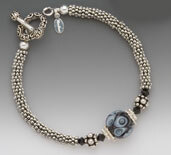 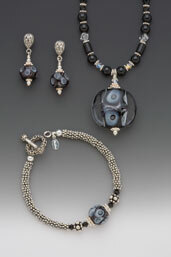 The necklace combines varied black onyx beads with Swarovski crystals and sterling silver beads.